Apple has done a pretty good job of snuffing out most of the opportunities to share files between iDevices. iTunes is the center of the known universe from the fruit company’s point of view, and allowing drag and drop potentially facilitates copyright theft, so no chance of that changing any time soon. With all the rules on authorization, syncing and whatnot, it seems a distant memory that you used to be able to plug any device into literally any PC or Mac and drag and drop files as you pleased. Exploring the device’s music in iOS is a pretty elongated process, involving third party software, hidden folders, and the rather ridiculous file names Apple stamps on the music in order to throw you off that irresistible musical scent. 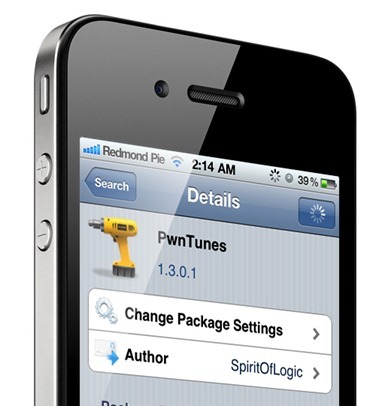 Many of you may have heard of a handy little jailbreak tweak called PwnTunes, which essentially takes the iPhone, iPad and iPod touch on a little journey down Memory Lane with some quite brilliant functions to boot. You can download, drag, drop and even sync music without iTunes, and once you have it installed, you can do this on any computer. There is, as is always the case with things that sound too good to be true, a catch. Well let’s call it 12 catches, because that’s how many dollar bills you will have to siphon off your bank balance in order to get your hands on this tweak. If you are just trying to avoid iTunes like the plague, then use Copytrans Manager. It’s free, and provides a simple way to add to and edit your music library. I would personally much rather download that every time I wished to add songs from a different computer than pay so much. Having said that, there are a few features of PwnTunes that set it apart from similar apps. You can drag music into the “My Music” folder in explorer and next time you open your iPod app, it will seamlessly sync them over. As well as music, you can store just about anything you wish, so it essentially turns your device into a portable USB through which you can save those all important downloaded movies work documents. You can grab PwnTunes from the BigBoss repo, for $12.99. As I’ve said, great app, but for me doesn’t warrant such a high price. In order to Pwn your Tunes, you will of course need a jailbroken iPhone, iPod touch or iPad. You can follow our step by step guide posted here to jailbreak your iPhone, iPad or iPod touch on iOS 4.3.5 using Redsn0w (or PwnageTool), or on iOS 4.3.3 using Redsn0w, PwnageTool, Sn0wbreeze & JailbreakMe (that last one being the easiest).